I had grand plans to make a bunch of Valentine cards this year but I just didn't have time to do it. I did get this card done for my hubby. It looks like a really simple card but it sure took a long time to glue everything down!! I found the couple silhouette doing a Google image search and unfortunately I was never able to figure out who to credit with it (if you know, leave me a comment and I'll update this post). The little hearts came from the Close to My Heart Artiste Cricut cartridge. 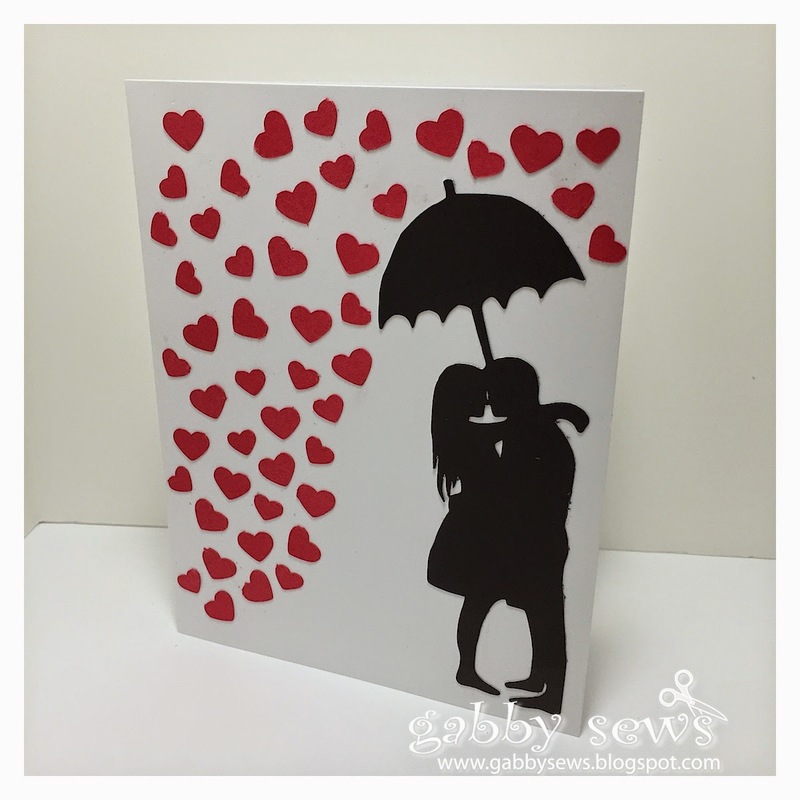 The card base is a Close to My Heart pre-made card base. I use these all the time - they are always perfectly cut and scored and the price can't be beat! I think they are the greatest value in the whole CTMH line!! For $14.95 you get 50 cards and the envelopes and the quality of the cardstock they use is awesome!